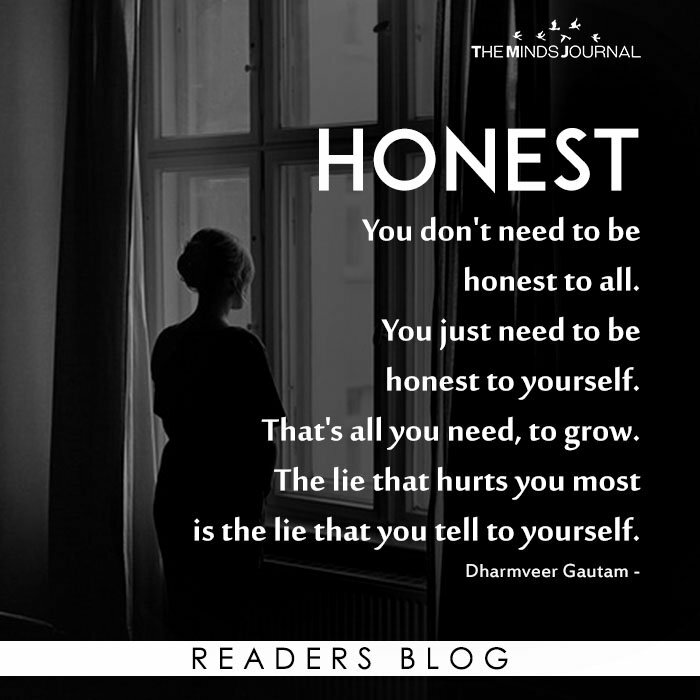 You don’t need to be honest to all. You just need to be honest to yourself. That’s all you need, to grow. is the lie that you tell to yourself.